UPDATE: We are out of timing-equipped bibs! Anyone can still sign up to run the 5K and receive all other race items, but you will not eligible to be a top finisher. 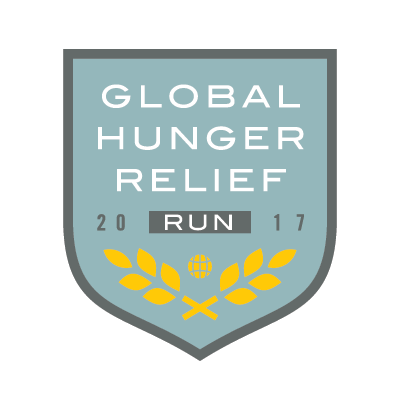 Join us Wednesday morning, June 14, in Phoenix, Arizona, for the Global Hunger Relief Run and help us combat hunger around the world! By participating in the GHR Run, 100% of your registration fees will go directly to feeding hungry people, thanks to our sponsors. We will load up in front of the Phoenix Convention Center at 6 a.m. to take a short ride by motor coach to the scenic Steele Indian School Park in downtown Phoenix. We will have a first-class racing experience for 5k runners, complete with professional timing equipment and bibs, as well as a family-oriented, one-mile Fun Run. Kids under 12 can run (or be pushed in a stroller) for free! Participants will be back to the Convention Center by 8 a.m. for the annual meeting of the Southern Baptist Convention, and award winners will be recognized at the Executive Committee Stage in the Exhibit Hall later that morning. Thanks to our sponsors, all registration fees will go directly to Global Hunger Relief projects! In addition, runners can promote their participation and raise funds through Crowdrise. Sponsors for the GHR Run currently include the Arizona Southern Baptist Convention, Baptist Global Response, the Ethics & Religious Liberty Commission, Guidestone Financial Resources, the International Mission Board, LifeWay Christian Resources, the North American Mission Board, the Southern Baptists of Texas Convention and the Woman’s Missionary Union. Be sure to use the hashtag #GHR5k to help us raise even more awareness! All registration packets will be available for pick-up Tuesday in the Exhibit Hall of the Southern Baptist Convention at the Phoenix Convention Center at the IMB Booth between 2 - 4 p.m. ID will be required for pick-up. Packets will include instructions for race day, a dry-fit tee-shirt, a racing bib, and other gifts from our sponsors. You will be welcome to wear the shirts on race day! Please arrive in front of the Phoenix Convention Center near the corner of 3rd and Monroe by 6 a.m. on Wednesday. Remember to drink lots of water and wear light clothing as it will be warm! We will load up in motor coaches and drive to Steele Indian School Park at 300 E Indian School Rd. Our race kick-off program will begin at 6:20 a.m. and our 5k runners will start the flat, two-lap course promptly at 6:30 a.m. Fun Run participants will begin at 6:45 a.m. Water will be available along the course. Upon completion, snacks will be provided and the motor coaches will be ready to take finishers back to the Convention Center. All participants should be back to the Convention Center by 8 a.m.
All registration fees will go directly to GHR projects around the world. GHR partners work together to bring awareness to the global hunger crisis and combat hunger through feeding projects in the United States and abroad. Eighty percent of funds are used internationally through the work of the International Mission Board and Baptist Global Response. Twenty percent is distributed across the states by the North American Mission Board. GHR is a partnership of seven Southern Baptist organizations: Baptist Global Response, International Mission Board, North American Mission Board, the Ethics & Religious Liberty Commission, Woman's Missionary Union, LifeWay and the Executive Committee. Additional donations to GHR may be made during registration and will be processed by the ERLC. Additional information will be sent to registrants via email prior to race day. What is the course altitude? Course altitude is 1123.616 feet. What is the plan for inclement weather the day of the race? There is a very small likelihood of inclement weather. However, should safety concerns prohibit us from running, the race will not be rescheduled and donations will not be returned. What is the average temp in Phoenix during June? The average temperature between 6 a.m. and 8 a.m. in Phoenix is June is approximately 80 degrees. Is my registration fee refundable if I cannot run? Unfortunately, no, your registration fee will be considered as a donation to Global Hunger Relief. Will first aid be available the day of the race? Yes, we will have a first aid station on site. What is the course cut-off time? 7:30 a.m.